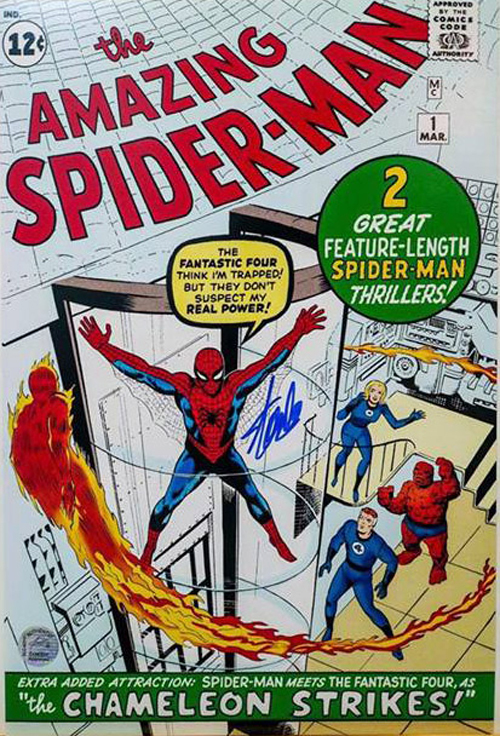 The item you are purchasing is a 18x12 The Amazing Spider-Man Comic Poster, which has been personally HAND signed by Stan Lee. This item was obtained as part of a Private Signing with Mr Lee on the 16th August 2015 in Los Angeles. This item also has the official Stan Lee Hologram attached.